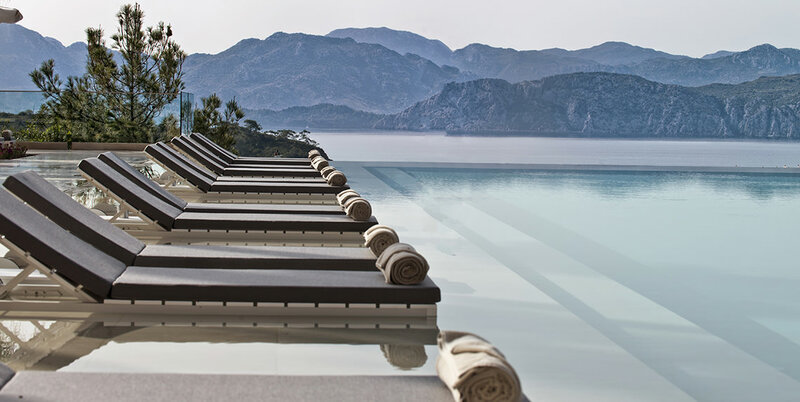 D-Hotel Maris stands eyrie-like in one of the world's most dramatic locations. From the top of a soaring cliff, look down to a private bay, where you can bask, swim, ski and sail. 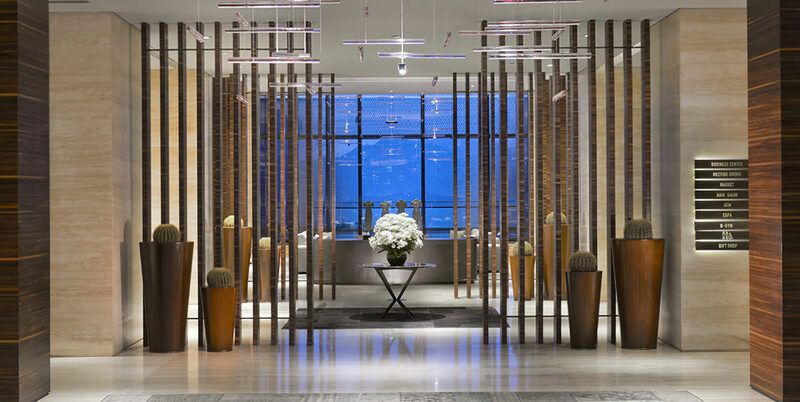 A Turkish luxury hotel of true 5-Star quality. It stands where the Mediterranean meets the Aegean, high on a hillside at the fringe of the Datca peninsula. 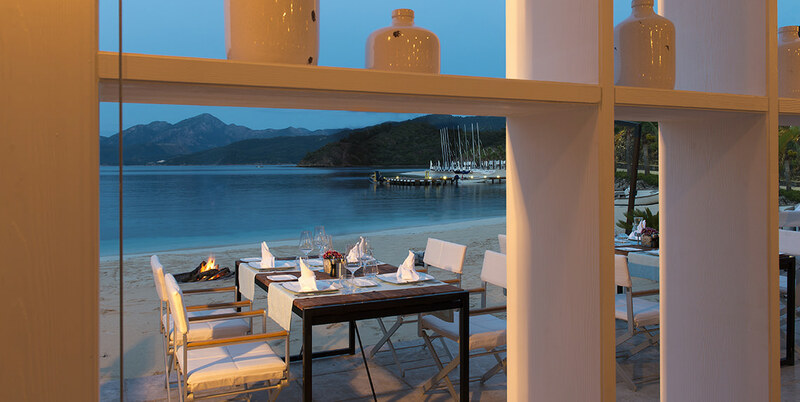 With spectacular and breath-taking views – small islands, luscious pine forests, volcanic mountain ranges, crystal clear waters – and private beaches, D-Hotel Maris is the definitive luxury holiday hotel. 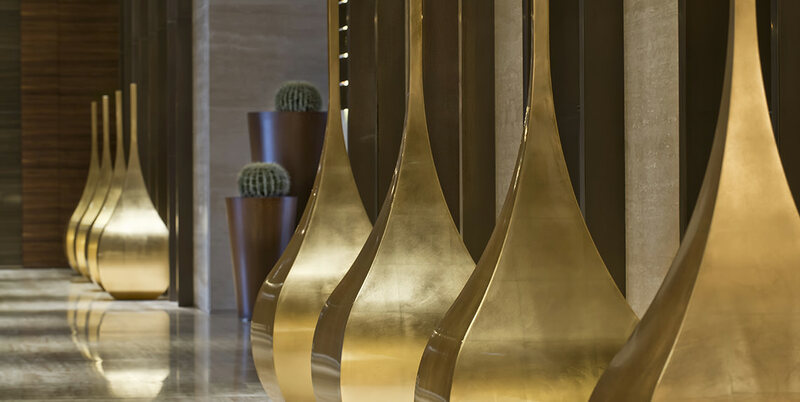 This is a world of marble, bronze, wood, travertine and shimmering white Egyptian sand. Life at D-Hotel revolves around the sea, the fabulous, almost Caribbean-like beaches, and the superb facilities within the hotel itself. 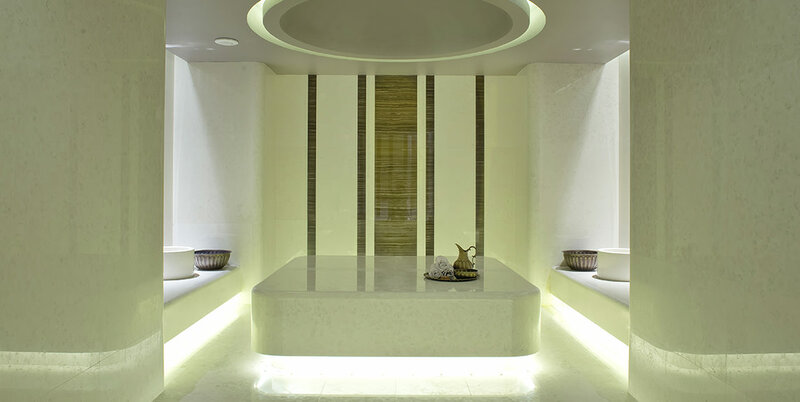 The hotel boasts a well-heeled international clientele, and is also popular with holidaying Turks. Note: No children under 6 years old are permitted at the D-Hotel Maris. Accommodation is bed-and-breakfast – local charges apply for lunch and dinner. 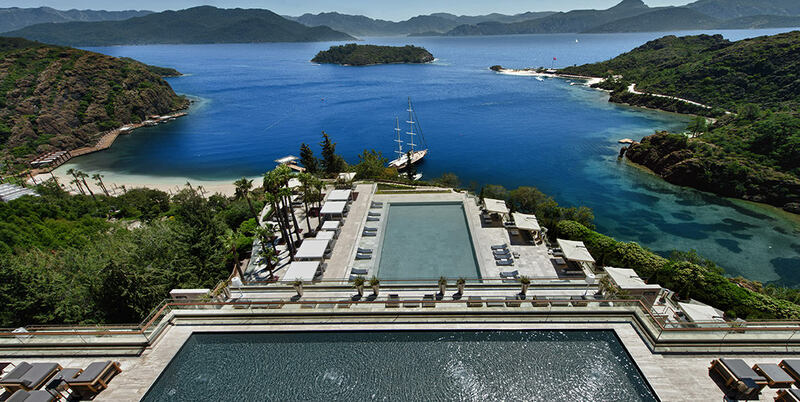 D-Hotel Maris is already established as a premier Turkish 5-Star luxury hotel. 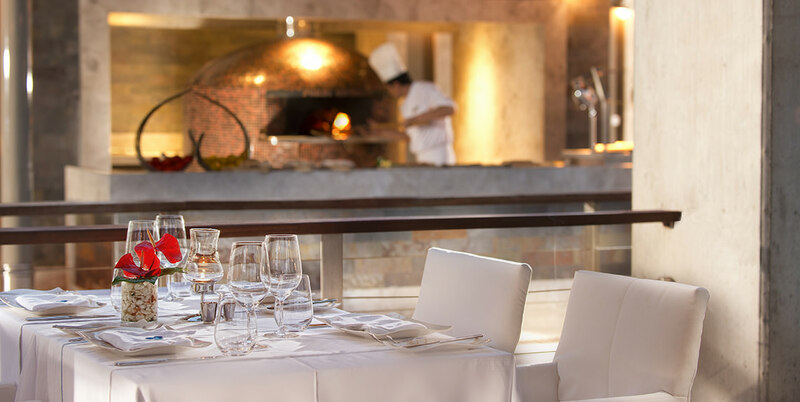 You can expect nothing less than excellent dining in exquisite settings, including a breakfast restaurant and five a la carte restaurants four of them are serving a snack menu during lunch. 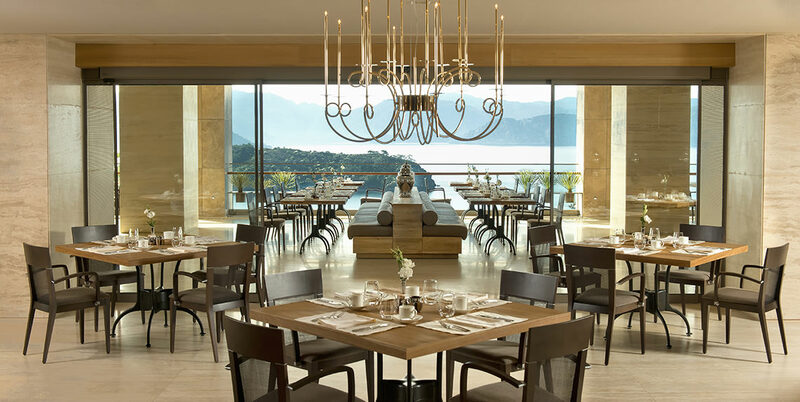 Optional Half-board Supplement: The four restaurants at the hotel that offer this is – Breeze, Nusret, Ruia and Bellariva. There will be a selection of four fixed-course a-la-carté menus. 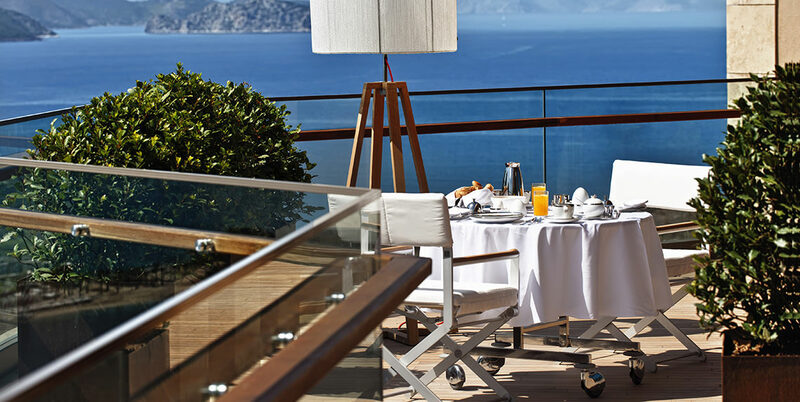 The Terrace has lovely views – ideal for a breakfast buffet; lunch and dinner are also served here, weather permitting. 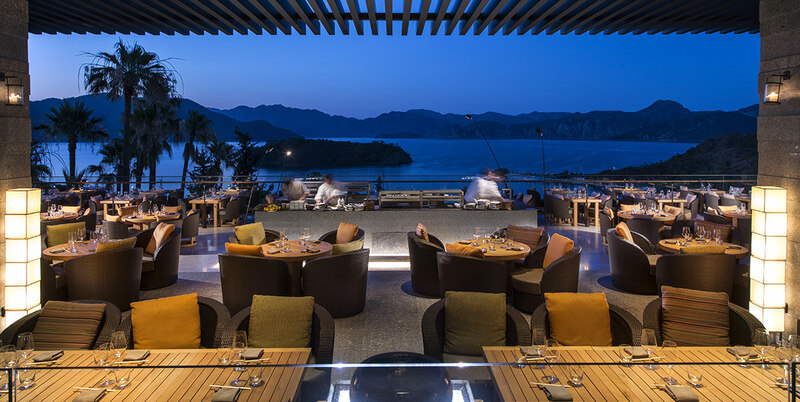 The blue flagged white, sandy zone called ‘the Bay’, has three extraordinary restaurants: Italian, Turkish and a Steak House. 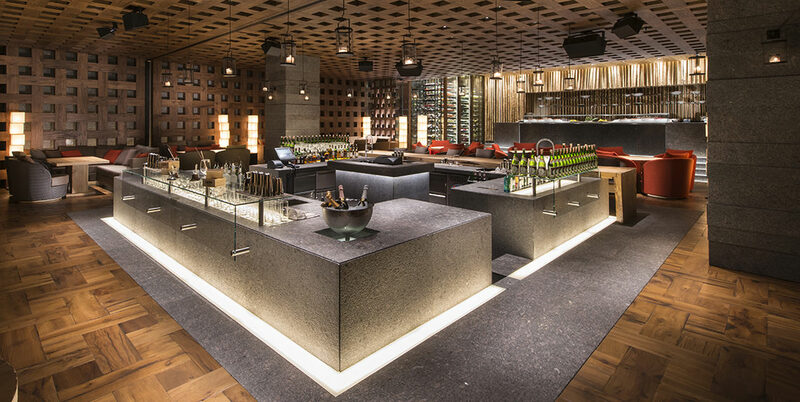 The world class "Zuma" – an award-winning restaurant boasting a lounge and bar is based on the "izakaya" style of shared dining. 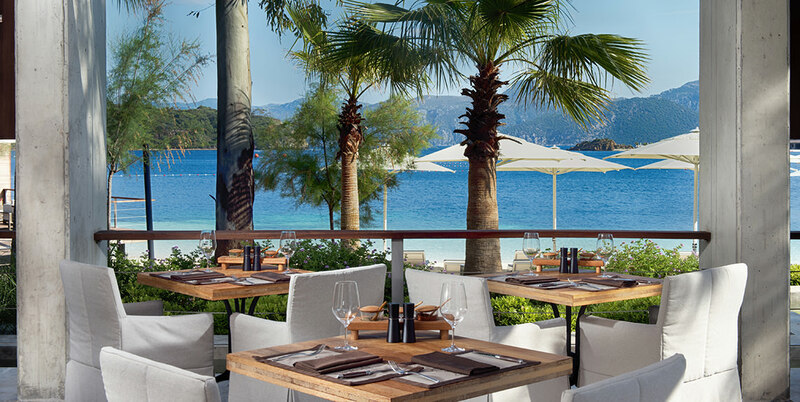 The Breeze, by the beach in the hidden bay, offers Aegean cuisine, featuring the freshest local seafood, fruit and vegetables. The Teen Club in the Bay area offers PS3 video games; movies; workshop activities like T-shirt printing, arts and crafts; sports and water sports. Given the elevated situation, you may be forgiven for wondering how you get to the beach and the water sports club. Two funicular lifts carry you down the Cliffside, a ride providing you with a lovely vista. With lifts in the main building itself, moving around the whole bay presents few challenges even for those with mobility difficulties. 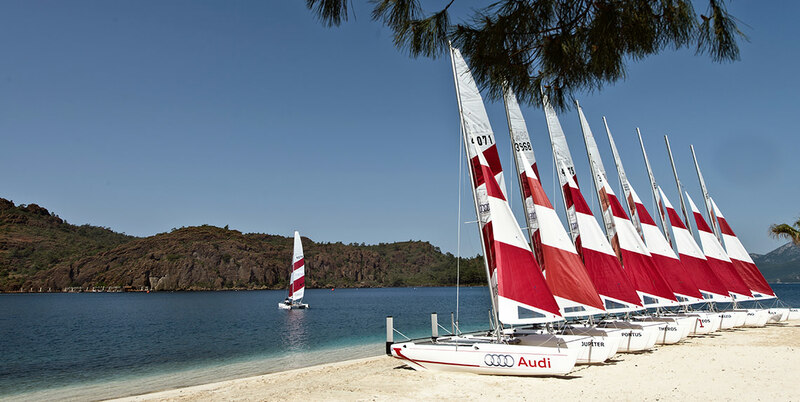 There are five sandy beaches at D-Hotel Maris, created using fine white sand imported from Egypt. Bay Beach is reached by a short funicular ride from the hotel. The others are located across the bay, with regular access via the hotel's own shuttle boat or golf carts. 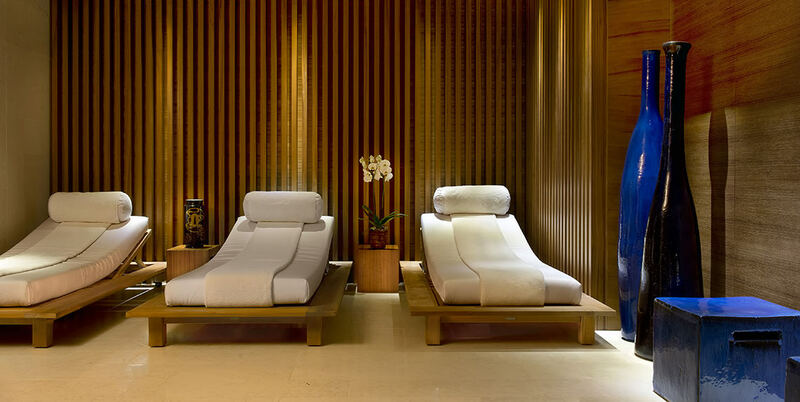 As well as the beaches, the hotel has an indoor pool, a vitality pool and an outdoor pool. Rent one of our motor yachts to explore the magnificent islands nearby. We also have Azimut 55 yachts and a custom-made 100 ft luxury gulet available for charter and day tours. D-Hotel is the perfect base for exploring the delights of the Loryma Peninsula, an area replete with colourful tradition. At Orhaniye, for example, you can walk on water, crossing the bay via the submerged spit of sand known as the Maiden's Sand. 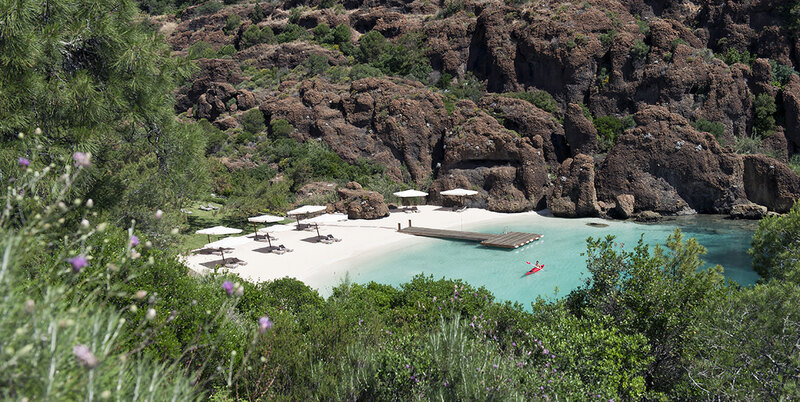 You can take boat trips from Bozburun to the islands sprinkled across the sea beyond the bay, and D-Hotel also has its own private boats for hire: Azimut 55 yachts, and a custom-made 100 ft luxury gulet. 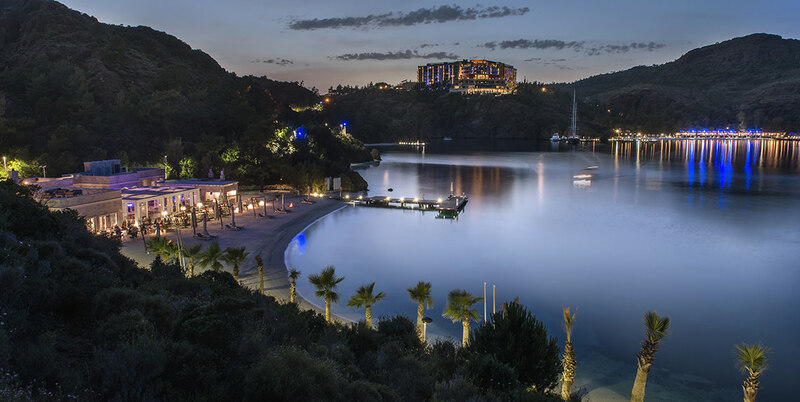 If you need to shop, the town of Marmaris is only 40 minutes away, while further down the coast lies Knidos and the remains of the ancient Hellenistic city. This is also the site of the Temple of Aphrodite. 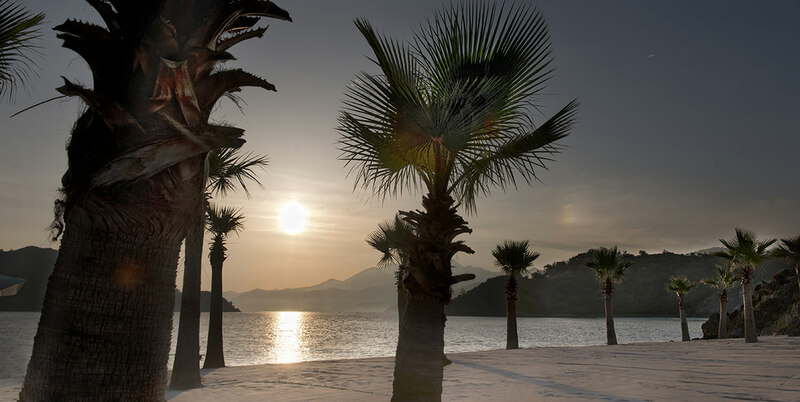 The Datca peninsula itself has delightful beaches, gloriously exotic fauna and graciously soaring mountains. The town of Old Datca has lovely old stone houses, and the windmills of Datca have become a symbol for the area. 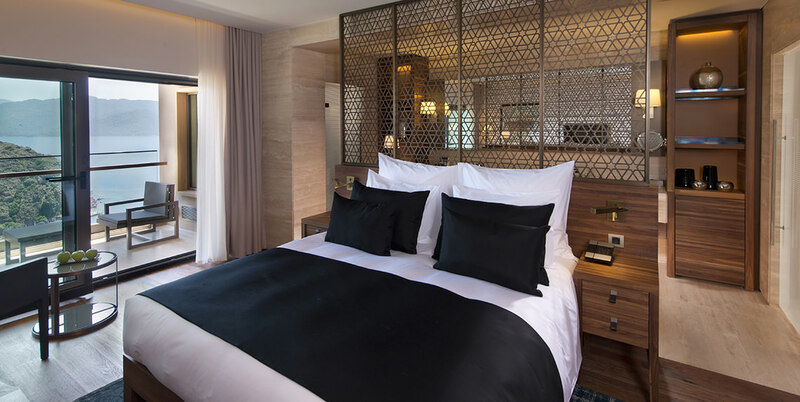 These are our preferred rooms at the D-Hotel. After your flight and transfer, the real 5-Star luxury hotel experience means you deserve a furnished balcony to bask on. 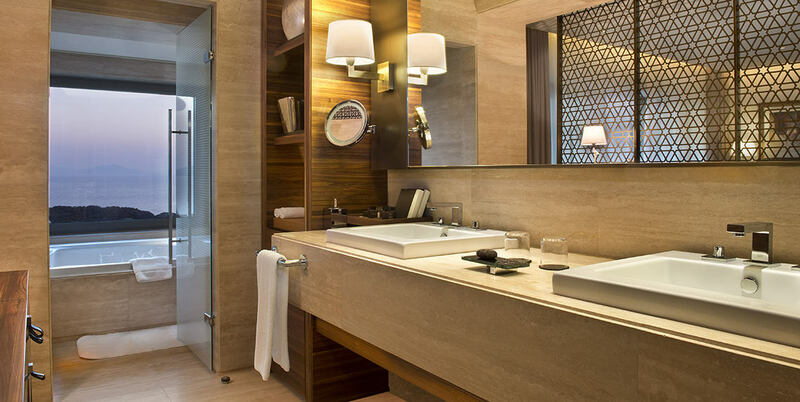 Travertine bathrooms with bath and separate shower, fine toiletries, hair dryer, makeup table, bathrobes and slippers. These are ideal rooms for youngsters (aged 6 and older) travelling with parents. Lovely views, but no balcony, and an interconnecting door with the parents' Deluxe Sea View room. 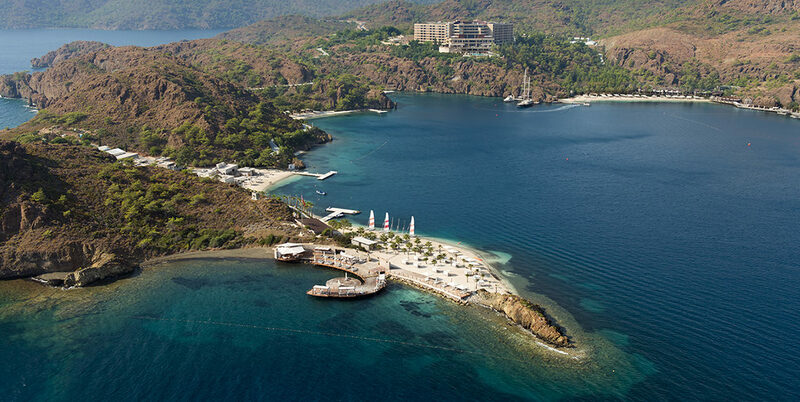 200 air-conditioned rooms; 1 hour 40 minutes from Dalaman airport. Prices displayed are per person based on two person occupancy of a room. Rates are quoted in British Pound (GBP) based on 7/14 night duration. 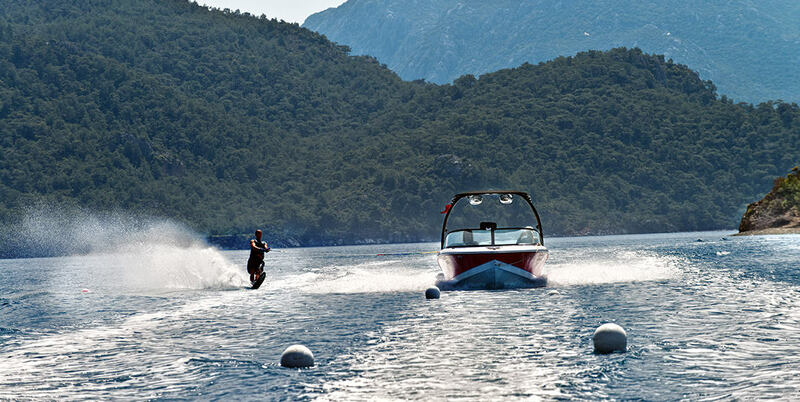 Flights to Dalaman Airport, luxury shared overseas transfers, daily breakfast included*. For private executive transfer please add £ 100 per way per vehicle. Prices displayed are per day per room- based on single/double occupancy of a room inclusive of daily breakfast and all local taxes. Rates are based on availability and may change without notice. Cancellation policy : more than 21 days before arrival, 50% charged. Between 14 and 21 days before arrival 75% charged. 14 days or less before arrival, 100% charged. Please ensure you take adequate travel insurance to cover any cancellation costs. 50% deposit required at the time of booking and will be charged to the credit card provided.